Allergy Research Group, established in 1979, is an innovative leader in research and the formulation of nutritional supplements. The Company is recognized worldwide for the quality, purity and efficacy of its targeted nutritional supplement line consisting of more than 300 products. Over 6,000 physicians and health care practitioners worldwide currently purchase Allergy Research Group's products and recommend these supplements to their patients. Wolfgang M. Kuchen joined Allergy Research Group in July, 2016, as Chief Operating Officer, and on January 1, 2017, he was appointed President. Mr. Kuchen has more than 20 years of experience in management, leadership, and team development in the USA and internationally, in the pharmaceutical, dietary supplement, and natural personal products industries. From 2007 through 2011, Mr. Kuchen served as Vice President International Sales & Marketing at Country Life, LLC, an Allergy Research Group affiliated company. 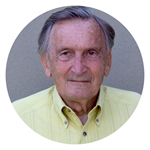 From 1999 through 2007 Mr. Kuchen served in various leadership roles at the Schwabe Group (Nature’s Way), both in Europe and the USA. As Vice President International Sales & Marketing at Nature’s Way, Mr. Kuchen was responsible for international M&A activity, and formulation, implementation and execution of long-term strategic and operational plans. He transformed the Canadian distributorship model into a direct sales model, establishing Nature’s Way as the leading US supplement brand in Canada. Through engaging in strategic partnerships with select leading pan-Asian healthcare groups, Nature’s Way’s international sales increased by more than 300% under Mr. Kuchen’s leadership. Mr. Kuchen started his career with Grunethal GmbH, a family-owned medium-size pharmaceutical specialty manufacturer, in their Business Development division, licensing third-party products and developing and implementing corporate and regional strategy. He holds a Bachelor’s degree in Marketing, and a Master’s degree in Business Administration (MBA). He has also engaged in Post-MBA Studies in International Management. Since August, 2003, Manfred (Fred) Salomon has served as President of the company, after starting as Director of Operations in July, 2002. Mr. Salomon brings 40 years of executive management experience. He comes from the Home-sewing & Craft industry where he managed and grew several businesses. He also founded his own company, which he sold to the McCall Pattern Company, where he served as Chief Operating Officer of their national distribution company, NMI, Inc. For the last 20 years, Mr. Salomon was general manager of Lion Notions, Inc. and Fantasy Importers, Inc., both privately held corporations. 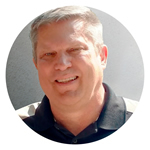 National Sales Director Dan Mallar has more than 25 years of experience in the healthcare professional supplement channel. 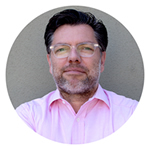 He has a strong proven track record of growing businesses and has built strong relationships with key stakeholders in the healthcare practitioner market. At Allergy Research Group, he is responsible for expanding sales and visibility for Allergy Research Group products. In addition, Dan represents Allergy Research Group at healthcare practitioner meetings, exhibitions and events. Prior to joining ARG, Dan was at ProThera, Inc., a leading healthcare practitioner company, where he was instrumental in exponentially growing sales during his 11-year tenure there. Before being at ProThera Inc., Dan spent considerable time at Douglas Laboratories, one of the top five companies in the healthcare practitioner space.